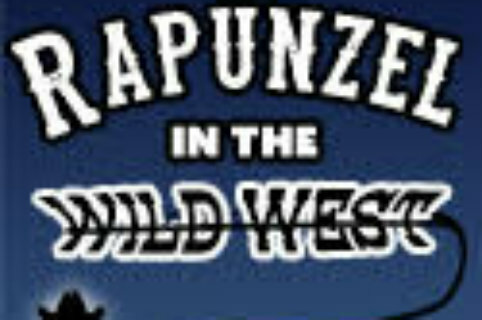 BOTTOM LINE: Rapunzel gets a Western makeover in a show that's fun for children and adults. In a book of fairy tales, there always seems to be the story of a girl with long, golden hair named Rapunzel. Usually she sits in a tower room waiting to be rescued by a handsome prince. Rapunzel in the Wild West fast-forwards a few hundred years and Rapunzel (Ashley Mills) is now living in the Wild West with her mother, Widow Wilson (Elsie Holman). Acting as sidekicks are Sally (Ariane Ryan) and Rapunzel’s maybe love interest, Willy (Bobby Becher). No Western drama is complete without a bandit, and here that role is filled by the Bandit Queen (Jacqueline Wheeler), aided by her less-scary partner, Bart (Kurt Perry). When the Bandit Queen rides into town, she throws the sheriff (Tommy Walker) into jail, leaving no one in her path to the town’s bank vault. Except for Rapunzel, whose hair comes in handy all over again. Arguments have been made against princess stories for giving girls the wrong idea, like how they should wait around to be saved by a man instead of being independent. This sentiment does not hold true for Rapunzel in the Wild West. Here, we very clearly have a princess who knows her own mind, and wants to set out on her own adventures. We also have her concerned mother, but being protective is a mother’s job, after all. When Rapunzel finally gets her chance to save the day, she does not hesitate and grabs at it with both hands. She may have had some help from that golden mane of hers, but the power to be a hero all came from her, and that is something to admire. Part of the FringeJR program, Rapunzel is targeted at younger theatergoers. It is lighthearted fun, yet also manages to throw in an adult joke or two when possible. Judging by the age of the audience at this performance, it is a safe guess that this show is the first introduction to the world of theatre for many of attendees, and what a good choice it is. The actors give knock-out performances, and constantly interact with the young audience throughout the show. The book does not dumb down the dialogue as other children shows can. It is also a fantastic modern take on a classic story—not deviating so much from the original that it is unrecognizable, but different enough to resonate with a modern audience. Growing up, I lived off of a diet of Disney movies and bedtime stories. I knew all of the stories by heart, Rapunzel included. If I were still five years old, this show would definitely be something I would be talking about for days on end. And even at 25, I still found myself enjoying seeing a princess, instead of a prince, save the day.